Wisdom often comes out of the mouths of kids in the most unexpected times, reminding us that our age does not equate to better intellectual stature at all. Intrinsically, we still own the qualities of the invariable innocence of a child, and an entrepreneur can integrate a child’s indispensable perspective with his own pursuit to success. An entrepreneur will definitely benefit in rediscovering the child within and reactivating some of the traits that has now been lying dormant brought about by the many challenges and frustrations during the years of growing up. The ability to see the world with eyes wide open. In times of tests and trials, a kid often thinks out of the box in finding solutions. As an adult, thinking likewise is a must! Having an insatiable curiosity with everything. 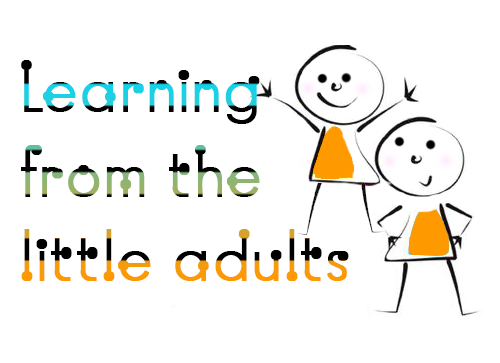 When we are adults, we tend to stop learning, and just allow the old things to help us analyze the new. Remember, everything is being disrupted now. And if you want to create a mark and disrupt an industry, you mustn’t be confined with the old ways of doing things. The belief that imagination is the true definition of intelligence. Think Albert Einstein! Well, you needn’t have the same IQ like he did. It’s just saying that you must not be afraid to see things in a new light and never be afraid to challenge the status quo. Getting along with others without any bias or discrimination. How I wish this is one quality we as adults can forever have. So that relationship-building wouldn’t be as hard as it is today. Making the most out of anything in the absence of none. A small child can build an airplane, a boat, even a robot out of milk cartons and just plain paper – which means that having nothing or having seemingly useless things shouldn’t stop us from creating. In fact, it should be our ticket for more imaginative and unconventional way of doing things. Knowing one’s limitations and showing dependence on others, without any traces of ego shrapnel. In other words, asking for help is never a sign of weakness. Possessing an expert knowledge in infusing fun with work. As an entrepreneur, you can always have fun even in the most frustrating situations. Trying out new things. Kids have never been afraid to try a new food or play with a new toy. And that’s how their journey to discovery begins. As entrepreneurs finding their place into the business world, you’ll need an ounce of this quality in order to succeed. Putting love for simple pleasures first before the love for money. Yes, entrepreneurship is all about passion first, and money can come later. The ability to entertain one’s self to fight off boredom. Rediscovering the child within ourselves often becomes the solution to every big man’s problem. Creating a better version of our younger self does not mean forgetting the past, but sometimes, a blast from the past will provide a great outlook towards the future. Read also: Does Founder Need to be Tech Savvy? Going for an Interview with a Startup? These questions are what you must ask.